Home Equipment Is This The Longest Fairway Wood? Is This The Longest Fairway Wood? 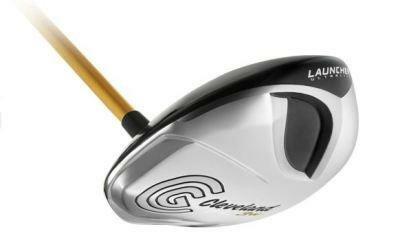 In March of this year I reviewed the 2011 line of fairway woods from Cleveland Golf, the Launcher FL Ultralite series. The theme of that review really centered on the Ultralite technology and my belief that Cleveland was successful in creating a club that helped to increase distance while maintaining control and accuracy. 1. The FL series fairway wood represents a true breakthrough in fairway wood performance. Cleveland Golf engineers worked closely with two trusted brands – Miyazaki Premium Golf Shafts and Lamkin Grips – to remove weight from the shaft and grip, reducing total club weight by 30 grams. The lighter but balanced club produces faster head speed, more ball speed and longer carry for all shots, from the tee or the fairway. 2. Ultralite Technology – Lighter is faster. An increase in clubhead speed up to 3mph is expected due to the decreased club weight, producing measurably longer ball flight (up to 7-10 yards). 3. Effortless Distance powered by Miyazaki – The authentic 43 Series C. Kua ultra premium shafts preserves stability and feel in a True Tour Ultralite package. All of the testers had fairway woods released in the last 24 months with six of the seventeen being from the 2011 lines. Our method of testing was quite simple. We had each golfer hit 22 balls, alternating between their fairway wood and the Cleveland Ultralite. The longest and shortest shots from each set were dropped out and then we computed the averages from there. As I mentioned, we used the Vector X launch monitor to record the data. Read on and you will see that the results of our test were quite interesting. 1. 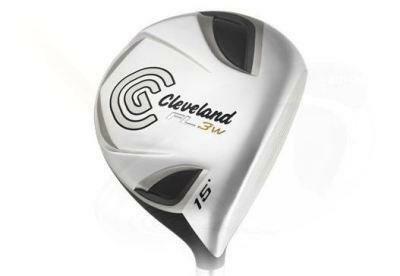 14 of the 17 golfers saw an increase in average distance with the Cleveland Ultralite over their current fairway wood. 2. The average gain in distance was 7.8 yards. 3. The longest gain in average distance was 21.3 yards. 4. The three golfers that did not see any distance gains averaged less than a 3.5 yards loss from their current club. Interestingly, the average distance increase that we saw among the testers was right in the range that Cleveland notes in their product information – 7 to 10 yards. Obviously there were some longer and some shorter, but it is very compelling information to see that our numbers closely matched the claims by Cleveland. As we all know, distance isn’t worth much if accuracy suffers. Keeping that in mind we used a Bushnell Yardage Pro XGC+ GPS to record shot dispersion from the middle of the fairway. 1. The average shot dispersion with the Cleveland Ultralite was 11.6% tighter. 2. 16 of the 17 testers said they would switch from their current fairway wood to the Ultralite. As I said before, at THP we are constantly looking to break through the hype and give our readers relevant information on golf equipment. What we saw with this test is that the Cleveland Ultralite fairway woods were not only longer for 14 of 17 testers, but also more accurate for the group on average. The results were quite remarkable and it’s apparent that these woods are outdistancing their competition quickly. Thanks for reading and I wish you the best of luck on the course this year. 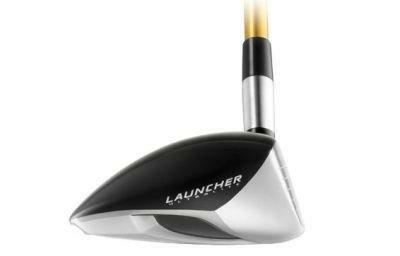 I wish you would have compared it with the Exotics CB4 woods. They are super long.